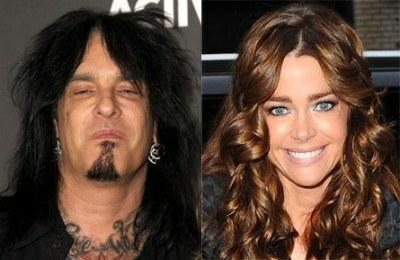 We’re hearing reports that Denise Richards is dating Motley Crue bassist Nikki Sixx! After being married to Charlie Sheen and dating Richie Sambora, this might be a good change for her, even though it might be a weird coupling. They have been said to be dating quietly for a while now. Is it Denise? What do you think? Denise Richards Strolls With Her Babies! Weekend Love Links!